Simon and Emma Wright at the opening of their Anytime Fitness club in Paignton, Devon. Franchisee interest continues to swell as Anytime Fitness opens 100 clubs in three years in the ever-growing fitness industry. 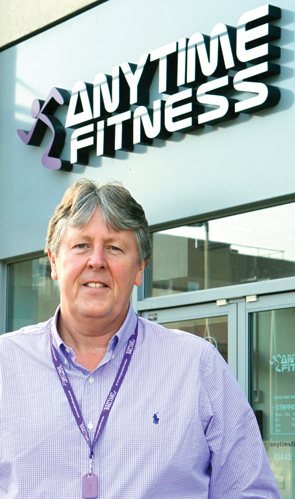 Anytime Fitness is celebrating its continued success following its 150th club opening in the UK. The milestone was reached with the opening of Anytime Fitness Paignton, Devon, and demonstrates the sustained prosperity that its franchisees are enjoying in the thriving fitness industry. Continuing its upward trend, the fitness industry has seen market value soar to almost £5bn in 2018. Exceeding 9.9m members, penetration is also at an all-time high of 14.9 per cent, meaning that one in every seven people in the UK is now a gym member. After being named the second largest private health club operator in the UK earlier this year, the Paignton opening means that Anytime Fitness has opened 100 clubs in the last three years. It boasts an eclectic network of franchisees, ranging from experienced fitness industry professionals to those with no experience in the sector, showcasing the strength of the brand and the support available. Its newest franchisees Emma and Simon Wright are a case in point. The Paignton club is the couple’s first, yet they already have two more in the pipeline that will be opening soon. Working with the central Anytime Fitness UK Support Office, a successful pre-sale saw Anytime Fitness Paignton recruit close to 500 members by the time it opened its doors, putting Emma and Simon well on their way to recouping their initial investment. Anytime Fitness UK CEO Stuart Broster comments, “Reaching 150 clubs in the UK is a fantastic achievement for Anytime Fitness and we’re delighted to be giving so many ambitious entrepreneurs the platform to run a successful business. “Since opening our 150th club we’ve continued to grow at pace, seeing our 155th club open in a matter of weeks since this milestone. I’ve made it no secret that I want Anytime Fitness to become the biggest health club operator in the UK and we’ve got a great Support Office team and network of franchisees to achieve this. Anytime Fitness has a healthy club opening pipeline for the end of 2018 and beyond, with over 30 potential new clubs that already have property secured. As club numbers continue to grow, so has the Support Office team with recent appointments of Trevor Kidd as Head of Club Projects and Daniel Penn as a dedicated New Openings Manager. Trevor’s role will encompass the management of the construction processes for all new club openings, drive down the costs of club fit-outs and lead the exciting club refresh programme that will be implemented in Anytime Fitness sites from 2019. His most recent role was at Pure Gym, the only private health club provider in the UK that has more clubs than Anytime Fitness, demonstrating the ambition to continue this steep growth curve. Meanwhile, Daniel will be the key point of contact for all new franchisees, supporting them in all aspects of their journey from sourcing their site to opening the doors. He will provide valuable advice to clubs during their all-important pre-sale period as they look to recruit strong membership numbers. As a matter of course, clubs are also assigned a Franchise Performance Coach (FPC) who works closely with franchisees. The FPCs have years of experience in the field, ranging from GM’s to Regional Managers across both public and private organisations within the fitness industry. After opening, the FPCs support clubs with regular face-to-face visits, ensuring realistic Key Performance Indicators (KPIs) are met. This year, Anytime Fitness introduced the EVOLVE Balanced Scorecard which is the biggest development to franchisee support since Anytime Fitness opened its first club in the UK. Unique to Anytime Fitness UK, the balanced scorecard assesses Anytime Fitness’ 150+ clubs across six KPIs and helps franchisees to identify internal opportunities in their business, helping them put together a strategy to improve their financial performance. The six KPIs that EVOLVE focusses on are Net Promoter Score, Brand Standards, Service Assessment, Clubwise Health Check, Marketing Health Check and ultimately, the club’s Financial Health Check. Stuart Broster, commented: “This is a huge development and step forward for our business in the UK. Previously, we’ve been great at advising our franchisees on what they need to do, but the launch of EVOLVE now gives them the how to go with it. “When it comes to running a fitness franchise, the more you put into it, the more you get out and these performance metrics will help highlight where they’re performing well but more importantly, their opportunity areas and how they benchmark against other clubs. “As our club numbers grow, it’s important for us to empower our franchisees and effectively support them in delivering a return on investment as well as creating a consistently high consumer experience across the network. This is currently a UK-only initiative but following its implementation, we’ve already had other markets wanting to find out more, with the view to rolling this out to their network.” The KPIs are assessed by the Anytime Fitness Support Office, but franchisees also have access to self-assessment forms to track their own progress and recognise the opportunities available to them. They can then work closely with their dedicated FPC to gather advice on how to improve their business performance. Franchisees will have access to league tables which show how they’re performing against other clubs. Furthermore, the clubs’ scores from EVOLVE will be used to judge Anytime Fitness’ annual awards where there will be recognition for the Overall Club of the Year and Most Improved Club of the Year. New franchisees now have the option of a ten-year franchise agreement, a change introduced earlier this year. Having previously offered a maximum term of five years, the move allows franchisees a longer timescale to establish their clubs and recover their initial investment. The Anytime Fitness banking partners were instrumental in the decision, with NatWest recommending this positive move to provide additional support to franchisees. How can you become part of the Anytime Fitness family? To make an initial enquiry about owning an Anytime Fitness club in the UK, contact Anytime Fitness’ UK Support Office where the recruitment team will be happy to discuss the options available to you and available territories. 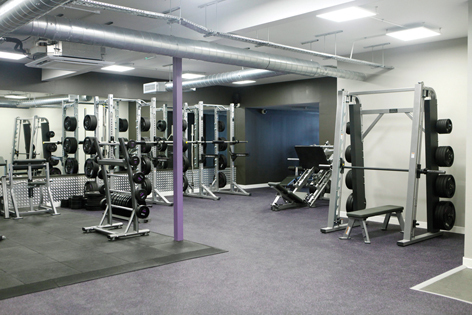 Opening an Anytime Fitness club requires a minimum investment of £170,000 liquid capital, which covers the franchise fee, security fit-out and essential costs before you open your doors. Additional funding can be arranged thanks to support from the UK’s leading banks, including NatWest, Lloyds Bank and RBS. There’s a reason why over 60 per cent of franchisees go on to own additional clubs. Franchisees can expect a healthy return on investment with recurring monthly direct debit revenue.